The Melbourne Futsal Club was formed in mid-2005. Originally known as Anger Management (thanks to a deal with the street clothing company ‘Anger Management’ to supply playing shirts), founding captain/manager Grant Rowley had an ambitious plan to begin an indoor futsal team – despite having only four players confirmed the day of the team’s first match! In the team’s first-ever match, held at Albert College, Albert Park, they were defeated 19-1. That first-up failure relegated the team to one of the lowest grades in the Albert Park Indoor Sport Centres’ futsal competition. It gave ‘Anger Management’ a great chance to gel as a unit, winning its first full season. Anger Management went on to win its next two seasons before being promoted to higher divisions. 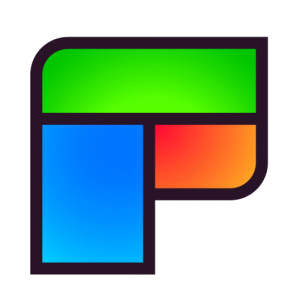 With this promotion came a name change to The Annual Futsal Club in early 2006. The Annual was Rowley’s end-of-season Australian motorsport yearbook. The Annual FC remained as the team’s title until early 2010. During that time, the team won just a single season in 2008. 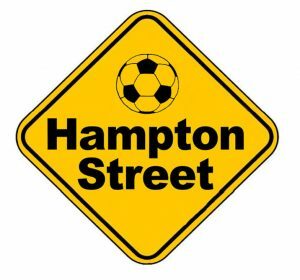 In January 2010, Hampton Street FC was born, moving the team to a yellow and black guersey. In 2014, the club started a second team, with a team based in the City and one in the East, playing at the new Mt Evelyn stadium. Soon after, Hampton St started to groom the young starts of the future with the start of its first juniors team. Within a year, the club had three juniors teams. In 2015, Hampton Street FC decided to try its hand at the elite leagues in Victoria, put together a list of its best players, while recruiting a raft of new stars to the club. After losing the Vic East Premier League grand final in 2015, the club took the opportunity to move into the State Leagues, run by Futsal Oz at the famous Brunswick stadium. The club (known as Hampton FC) won State League 2 and State League 1 at their first attempts. In 2017, Hampton took on the State League Championship – the second highest league in Victoria. The team finished third, giving it an opportunity in the Play-off promotions against Series Futsal Victoria team the Western Woives FC. After drawing 1-all in the first league, Hampton went down 4-2 in the second game, meaning another season in the State League Championship. 2005 – Anger Management – a company part-owned by V8 Supercars driver Greg Murphy – assisted in securing the team its first uniform. The long-sleeved outfit wasn’t entirely fitting for a futsal team, but they did the job sufficiently. 2006 – The start of The Annual FC saw the team buy its own Puma shirts – which were probably better suited for tennis rather than futsal. Some shoddy digital printing on silky shirts didn’t stand the test of time, with most of the signage on the shirts peeling off. The shirts were in use for less than 12 months. 2007 – The Annual FC secured its first ‘proper’ futsal shirts in 2007. Team members Andrew van Leeuwen and Tom Shaw bought all of the shirts before Rowley gave the ‘The Annual’ touch with embroidery on the front. The shirts become the team’s main outfit for more than three years. 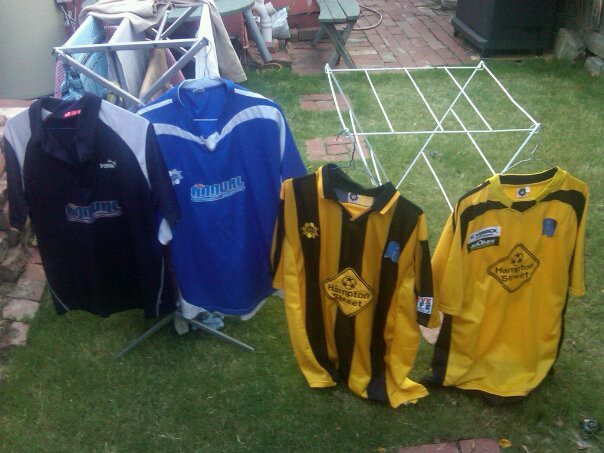 2010 – Hampton Street FC became the team’s new moniker, and with it came yellow and black striped shirts. Embroidery and sponsorship was taken to a new level. The new Hampton Street logo was displayed on the front, with Drivesafe Australia and JPM Upholstery on the sleeves. The Annual remained on the shirts, represented by an ‘A’ crest on front. 2011 – In December 2011, the team was presented new shirts, with thanks to new team sponsors Kerrick and Autobarn. The prominently yellow shirts feature the Hampton St logo, Kerrick, Autobarn and the traditional ‘A’ on the chest. 2014 – An update to grey and black Nike kits were unveiled, with support from Castrol EDGE, who supplied the club’s key members with jumpers, shirts and other items. The shirts were used in both the original ‘City’ team and the newly-formed ‘East’ side. 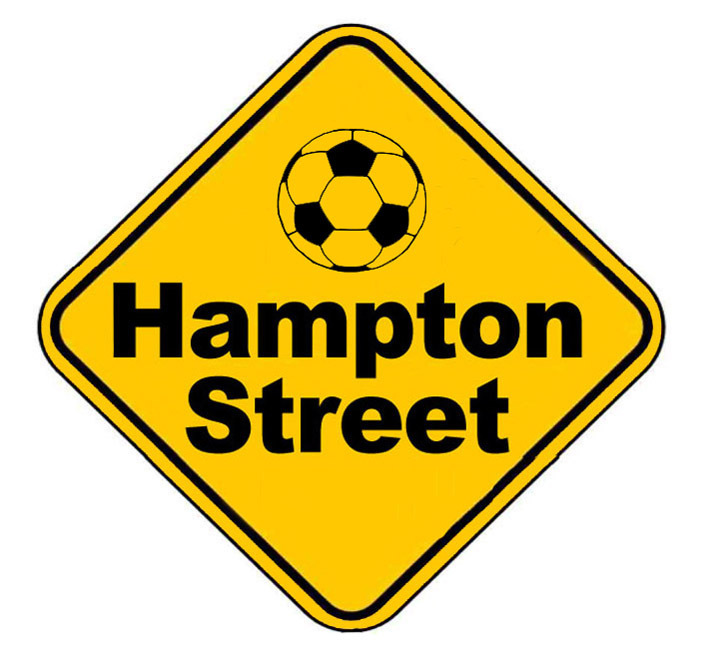 2016 – Sticking with Nike, Hampton St returned to its famous yellow and black look. Again, Castrol EDGE was represented on the sleeve as a sponsor. 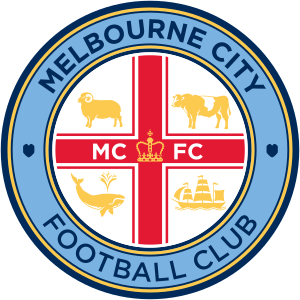 2017 – With the elite leagues now firmly entrenched in the club’s ambitions, Hampton St FC struck a deal with the Melbourne City Football Club as a major partner, with all of its elite and juniors teams wearing the sky blue colours of the City squad.